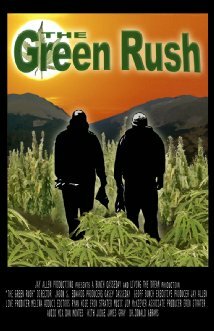 Documentary regarding marijuana cultivation, the legalization of marijuana and medicinal marijuana selected for Las Vegas Film Festival and Sacramento Film Festival. For decades, outlaw marijuana cultivation has been a huge "hidden" industry fueling much of the region's economy, but pot farmers have remained subject to harassment and arrest by federal law-enforcement agencies. Forget about the Gold Rush – that was so 19th century. Say hello to the Green Rush – an explosion of business opportunity that is already underway in Washington State and Colorado, where voters approved similar measures two years ago.